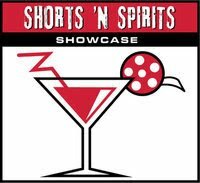 In the spirit of Celebrate the Web, Mental Eclectic CEO Craig Wilson is proud to present June’s Shorts ‘N Spirits Showcase Los Angeles (S3LA), a night of independent webseries Tues. June 8, 2010 from 7 p.m. to 10 p.m. @ Capitol City, 1615 North Cahuenga Blvd., Hollywood, CA 90028. Tickets $5 from EventBrite or $10 at the door. More than LonelyGirl 15 and The Guild, the world of independently produced webseries is a tight-knit community thriving from the community they’ve created, Celebrate the Web showed this with great precision. SAG, WGA and the Producers’ Guild have acknowledged the wealth of opportunity and talent being cultivated in the webseries world in the last year by writing up contracts and categories specifically for the media that has been created. YouTube, once the only and most visible option, has been joined by other distribution outlets like BlipTV, StrikeTV, and now with the launch of Somebody’s Basement breaking new ground in the new media world actors have more power as self-producers, giving them more freedom, ownership rights, and visibility than ever before. S3LA is proud to have Somebody’s Basement as a sponsor providing a SB Premier Pick for our June webseries event. 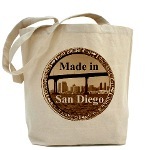 S3LA with its San Diego counterpart, S3SD, provides a home for indie filmmakers to showcase their work and also the opportunity to be voted “audience favorite” for limited distribution in Los Angeles, San Diego, Seattle, and Kansas City.